In blender, puree all ingredients, being very careful of the hot peppers. Do not touch your eyes when handling hot peppers. You may want to wear disposable gloves during this step. 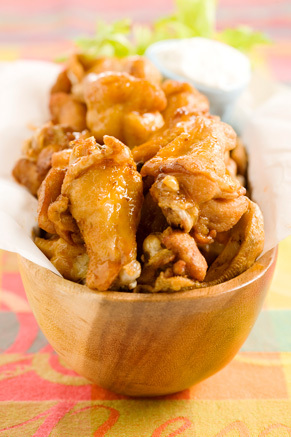 Place chicken wings in a bowl and pour mixture on top, marinate wings overnight. Heat Dutch oven with fry oil at 350 degrees F.
Remove wings from bowl and gently place them in the hot oil. 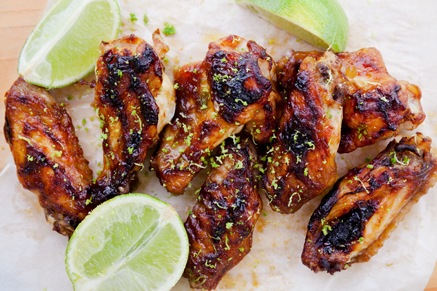 Fry wings until golden brown and crisp about 8 to 10 minutes. Meanwhile, take the leftover marinade and place in a small saucepan on stove and bring to a hard boil. 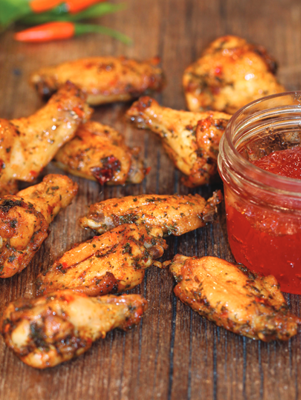 After the sauce is heated throughout, put sauce in large bowl, add wings and toss until coated.